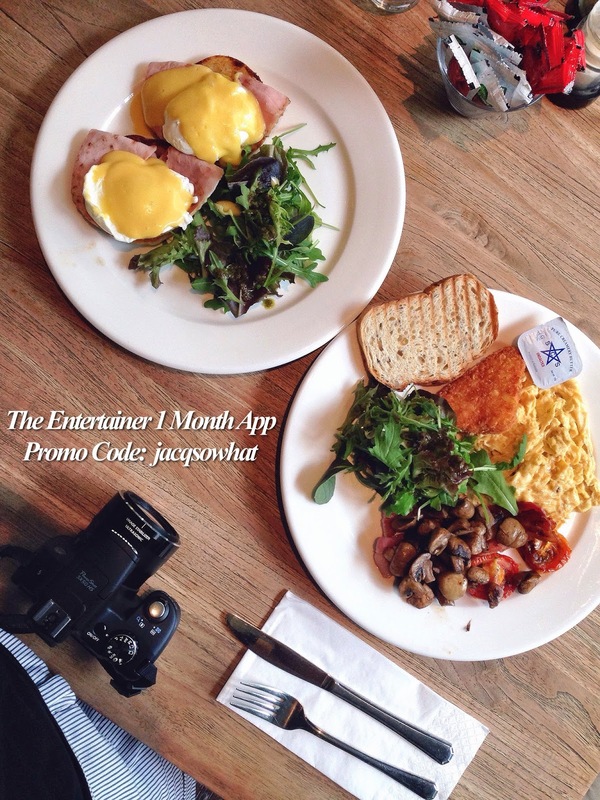 THE ENTERTAINER SINGAPORE 1 MONTH MEMBERSHIP: HUNDREDS OF 1-FOR-1 DEALS AT $15 | JACQSOWHAT: Food. Travel. Lifestyle. 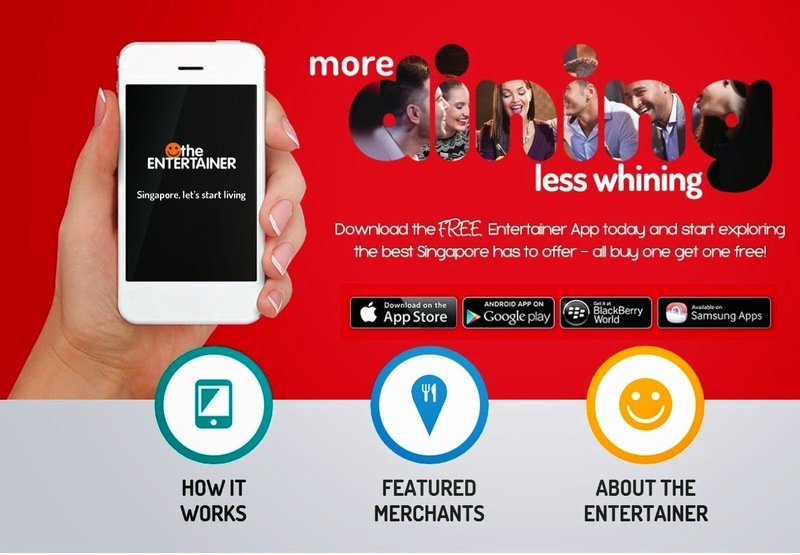 The Entertainer has launched their monthly mobile app with hundreds of buy one get one free dining vouchers for just $19. I personally uses this app very often as I dine out a lot and Entertainer has saved me hundreds. And I got to know & visit many eateries through Entertainer App that I've never heard or been to. *This is highly recommended for foodie, cafe hoppers - an app definitely worth getting. 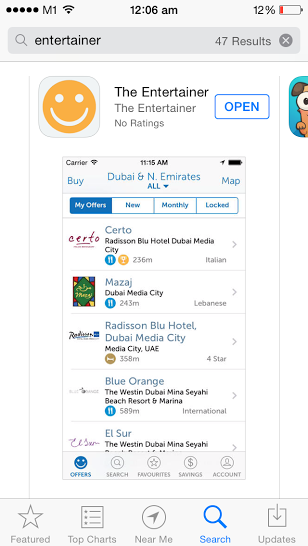 What is The Entertainer App about? The Entertainer was founded in 2001 in Dubai offering offering only Buy One Get One Free offers for dining, leisure, wellness, entertainment and hotel accommodation. 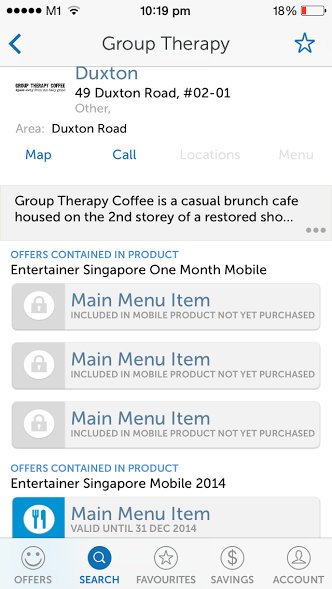 With the Singapore App - you will get access to all 770+ buy one get one free offers for Singapore's hottest restaurants, dining, nightspots, spas, activities, attractions and more! With 3 vouchers per merchant, you can visit participating restaurants more than once! 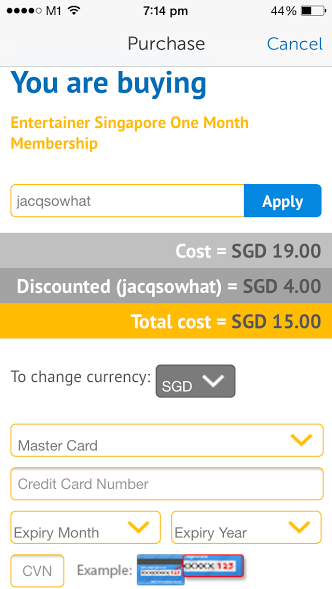 Some may think that getting the annual membership of Entertainer Singapore at $95 is expensive. Fret not, why not pay $19 for a month membership to try out? There is no difference between the both of them, they offers the same 1-for-1 deals. If you wish to continue using after your one month membership, you can simply choose to upgrade to the full product for a further $76, allowing you to keep redeeming your offers until 30th Dec 2014. You may think it's worthless since half of 2014 is gone. But think about it, if you dine at White Rabbit, Bedrock or FatCow (Japanese Wagyu steak estimated $120) for a 1-for-1 deal, you'd get back $19 after these transactions. 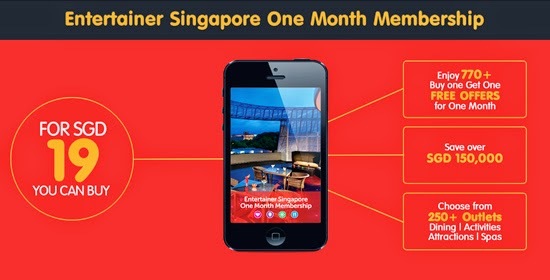 To purchase The Entertainer Singapore One Month Membership, you can visit https://www.theentertainerme.com/trysgfor19/ or download & install the FREE app from your app store. 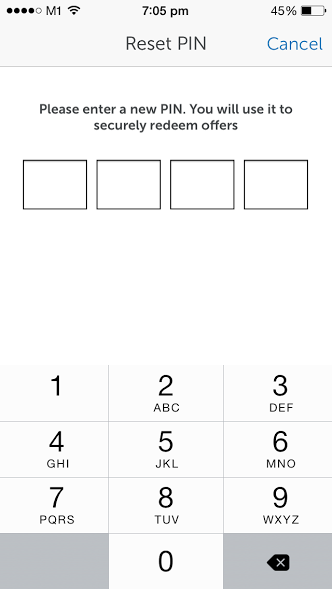 The free app only entitles you to limited deals for you to try out. 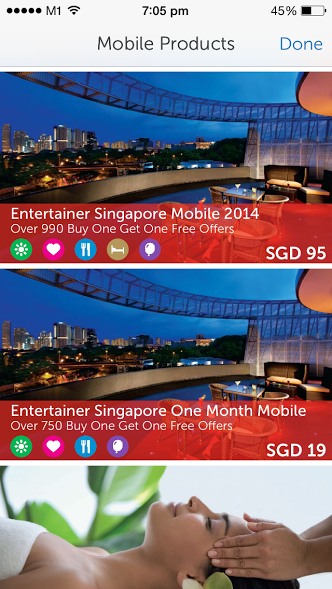 Go to 'Buy' on the top left corner and select 'Entertainer Singapore One Month Mobile' and then select 'Buy Now'. At the shopping cart, enter promo code 'jacqsowhat' and select 'Apply Coupon' to enjoy it at $15. 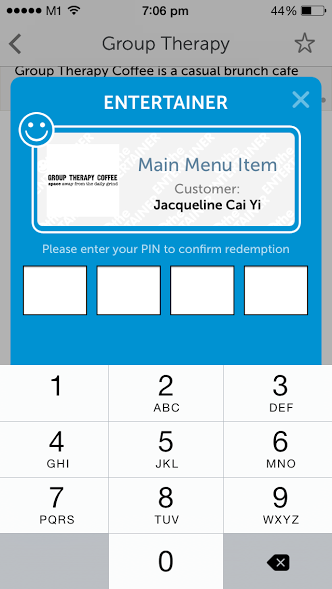 After the payment process, you will be prompt to set your pin and information, which you will need it the next time you redeem your offers. If you love cafe hopping, Entertainer is probably the best thing ever with many buy one get one free main items. Participating cafes like D.O.C, Group Therapy, Toby's Estate, Windowsill Pies & more. 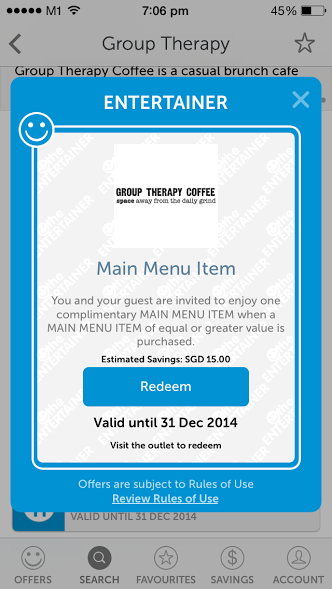 Lets say you're dining at Group Therapy, select the main course blue button & click redeem. Click here to view full list of merchants. I'm sure you can cover back the $15 in just one or two purchase when you use the 1-for-1 vouchers :) I'm definitely a big fan of Entertainer, there's always something to smile about. Promotional code is valid till 31 Jul 2014. For more of The Entertainer, check out their website, facebook, instagram and F&Q pages. DreamHost is one of the best hosting company with plans for all of your hosting needs.